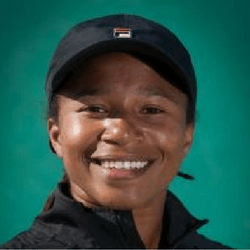 Megan Moulton-Levy is a professional tennis player and coaches at the Junior Tennis Champions Center in College Park, Maryland. Megan reached a career high WTA singles ranking of #237, and a career high doubles ranking of #50. She recently competed at the 2017 Australian Open and reached the round of 32 with fellow American Lauren Davis. Megan has competed in all four Grand Slams and won the WTA Monterrey doubles championship in 2014, in addition to 10 ITF doubles titles. After graduating from the College of William & Mary, where she holds the record for the most combined wins in singles and doubles, Megan competed on the WTA Tour from 2008-2015. Megan also achieved the No. 1 NCAA ranking in doubles and No. 7 in singles.